On Friday July 27 there was a profound gift from the source of All-That-Is. This gift was in the energetic form of what can be best described as living wheels of consciousness. The manifestation of these living wheels of rainbow light are here now, and they are here to stay. On this day they were fully integrated into the new living Fifth Dimensional crystalline Matrix that appeared recently astraeaetamora.org/…/ascension-report-summer-solstice-and-beyond and replaced the old third dimensional matrix. We have made a quintessential leap into a permanent and unified reality of what may be called the Fifth Dimension. I personally feel that the reality before us has changed, forever. I have received two messages regarding this Gateway, one from Astraea et Amora yesterday and a second one today from a new beautiful, extremely high frequency source – the Crystalline Beings of the Rainbow Rays. I am going to share both because as with all of my messages there are embedded ascension codes within each message. I wish each and all of you the love, the peace and the eternal joy that I have felt with the personal integration of these beautiful wheels of Light! “Beloved Ones, we hold you in high esteem in this moment! Your continued success has moved this world forward further into a creation of pristine beauty that holds only the truth of our shared divine desires! The beauty of this unfolding moment is of magnificent proportion! Such love and caring you hold and share! This discussion was written several months ago but the Elohim told me then that it wasn’t the right time to publish it because there were energetic events that would unfold in the course of this year that would lend understanding to these concepts. Today I came upon it again and had the knowing that it is now time to publish the discussion because the God Consciousness has now been introduced into this reality where one is now uniquely connected to the highest level of consciousness within All-That-Is. Through this divine connection we are then able to clearly understand the effect that thoughtforms have on our daily creations and now we are by divine grace being given the gift of the ability to immediately choose to wipe out all old thoughtforms that no longer serve us and replace them wholly and forever with those that support the highest expression of our own Soul, in order to enjoy a “Sacred Land” where only the purest of thoughts create the perfect reality in which our souls will then thrive! We are at a time now when we will each experience a massive inner shift and the nature of the inner shift will be based upon one’s own level of consciousness. This is not really an event where mass consciousness as we know it will decide the outcome of the event. And why is this? Because Saint Germain and the White Brotherhood, the Elohim, the Blue Crystalline Beings of Light and the energy we call “Divine Mind of God” have shared with us a number of messages that ultimately focus on a discussion surrounding the issue of random thoughtforms that contribute to consensual reality. There is a beautifully magnificent shift that is taking place in this now moment and you are actively taking part in it! You are each contributing to the creation of a sacred land, a pristine land, all within the reality that you choose to experience. You yourselves visited a beautiful place on a nearby mountain recently and felt that you had arrived at a sacred land. Yes! This is true! 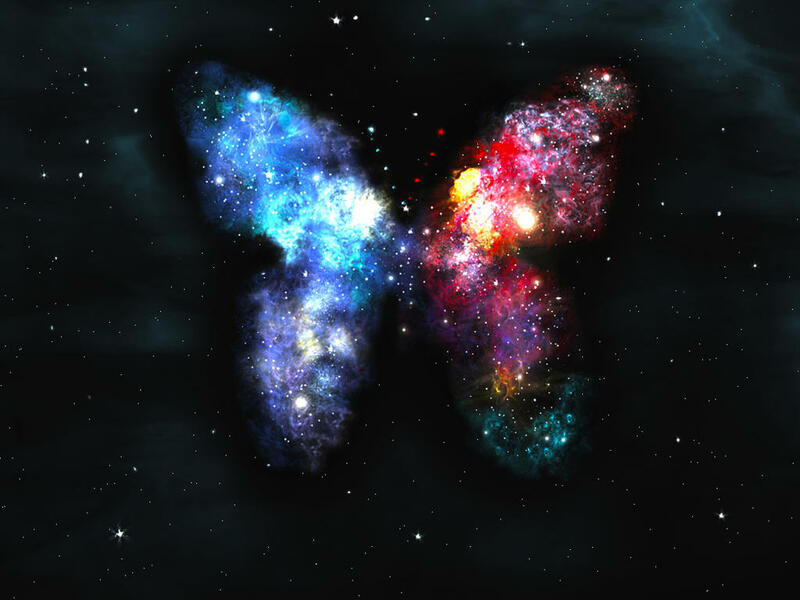 This sacred land is identified by the presence of the butterfly, the representative of divine soul expression and freedom – always notice the butterfly because this means your true home in the higher realms is very near! This sacred land holds a profound peace and a stillness that you can feel deeply within your body. While you were at this special place you noticed a sudden expansion of cosmic light that entered your auric fields, cosmic light embedded with light codes from the higher realms of creation. These light codes have now been anchored into this sacred land you call Italy! These codes bring with them a new frequency, and this frequency is here to activate all of the land and all beings of form. They represent the energetic balance of perfect creation in every moment. Some of you who received these codes may not be aware of receiving them and we suggest reflecting carefully upon your daily experience and make note of any sudden fatigue as this is a certain confirmation that these new light codes have come into your own energetic field. We greet you today with deep love for your abiding expressions of care for Mother Gaia and all beings of form that are now upon her, and who together make a most beautiful living creation. In this moment, each and every realm which she has invited into her creation is experiencing a great change. The change is arising quickly and beginning from a very deep level, from the quantum crystalline structure that is the foundation of every expression in form. This crystalline structure is a spiral of light arising from Gaia up through every form, into the Cosmos of Life; Gaia is providing every expression of form with the Living Light! With Living Energy! Thank you for all you are doing to protect her, to love her! This deep change is arising from the magnetic light now flooding into the beautiful creation before you. With the evolutionary activation accompanying the arrival of the Red Giant Magnetic Sun, a divine appointment comes to offer every expression of form a new ability to hold an expanded level of light quotient. This new light is held by all manner of form, and does so in a way that is grand – an ever-expanding spiral of activation. Moment to moment, this new light from the Red Sun rejoices and bursts forth frequencies that are not only beyond the spectrum seen by your physical eyes, the frequency of this light has new properties: This light is tonal and it is adaptive. Enter the Red Giant! The new source of superconductivity through supermagnetism. Your reality is growing exponentially with the arrival of the new Red Giant Star, your new Sun. The Light of the Creation now penetrates the World of Form in a new way. This is now the way of magnetism – quantum element to quantum element… a superconductive highway linking the infinite consciousness of creation with every single expression of form. The Light of Source is pure consciousness; it is pure awareness. As you expand into higher levels of consciousness you are immediately charged with the pure energy of creation that flows into your energetic fields and through your human body beyond the speed of light. The gift of superconductivity built within the new process of supermagnetism is now aligning your innate awareness of collateral realities, both parallel and multi-expressional, which are flooding your whole being at this very moment whether you are consciously aware of it or not.